Safety of school children is a paramount to parents, not only when their kids are within the school premises but also while they are travelling back and forth to school or home via school buses. Earlier, parents used to wait with bated breath till such time their wards reached the school or their doorstep. They were completely clueless of the location of bus or the time it will take for their wards to reach home. With technology spreading its wings into every sphere of human life, this is the generation of school bus trackers which come as tracking aids. These help parents in a number of ways in assuring their kids’ safety while onboard a school bus fitted with an AI-powered, GPS tracking system. Information is wealth. This maxim is so true in the case of school bus tracking apps which are installed on the smartphones of parents whose kids travel via a school bus. Through these school bus tracking aids, parents will be in a position to know the whereabouts of their kids. Any information concerning the school bus can be obtained by you as a parent at any point in time. You will get updates on your phone’s screen that will provide all the travel details regarding your wards. You will get real-time alerts when your ward boarded or got off the school bus. Better to be safe than to be sorry. This is a befitting axiom that links the speed of the school bus to the safety of the children onboard. Through the school bus tracking app, parents will be in a position to know the speed at which the school bus is travelling. This can provide a sigh of relief to parents who can keep a watchful eye on whether the bus driver is meeting the specifications of speed limit of the school bus. School bus tracking apps can thus help in preventing accidents occurring on account of over-speeding. Given a scenario when your ward does not board the same bus every day, it is through school bus tracking that you as a parent can track multiple buses. This feature comes as a boon to parents as they can put an end to anxiety about which bus their ward boarded. 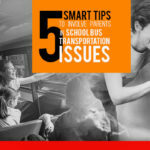 Parents who are connected to the school bus transportation system via their smartphones will be informed about the exact location of their wards. They will get notifications about the location so that they can be prepared to either drop or pick up their wards from the bus point. It can be a natural hazard, the break-down of a school bus or a traffic jam that can inconvenience you and your ward. With the school bus tracking app in your hands, a prior warning will flash on your smartphone, informing you about any hindrance that calls for your attention. This way, you will be in a better position to make alternative arrangements or take any other corrective actions that deem fit. 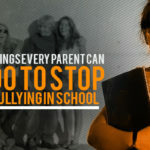 It is through the school bus tracking app that parents and school authorities can lay hands on the exact details linked to the time taken at every stop to either pick up or drop school kids. In the event the bus halted for more than the prescribed time limit, you as parents will get notified regarding the delay. The Radio Frequency Identification Tags provided by TrackSchoolBus come handy in providing the much-needed information regarding the exact location of your child. It is through these exclusive school bus tracking apps that you will be informed about when your child reached home or school. Installing the school bus tracking apps provided by TrackSchoolBus will be an intelligent step towards enjoying peace of mind. With real-time notifications popping up from the school bus tracking system on your smartphones, you will be in a favorable position to know the exact location of your kid. Isn’t this a matter of convenience and peace to all the parents who can be rest assured about the safety of their wards while they are travelling via a school bus? Indeed! It is! 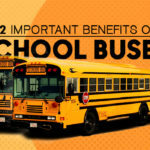 In addition to the above mentioned 8 benefits of school bus tracking apps, parents will able to keep a close watch over their kids’ academic performance. The school bus tracking apps offered by TrackSchoolBus will help you download various academic reports including the attendance sheets of your wards. This way, you can make the most of the technology options that are provided by these tracking apps to conveniently ensure the safety of your wards at all times.